View down Throckmorton from 9th St. Looking north on Throckmorton from around 9th Street. At left, the Fort Worth City Hall, and behind it the WSL building. and behind the round sign is the old Fort Worth Library, now demolished. Behind the library is the Continental Bank tower with the clock on top. to have it face another direction. 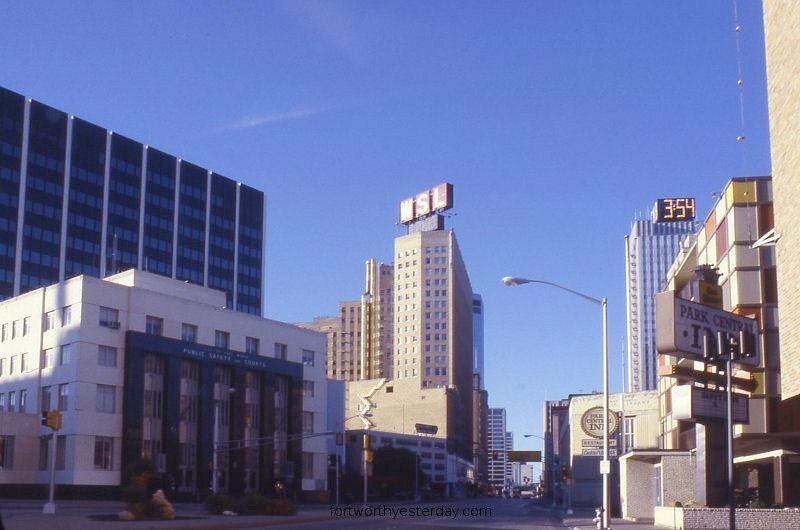 This Fort Worth landmark has also been demolished. Ektachrome slide taken in Dec. 1978 by John Cirillo.